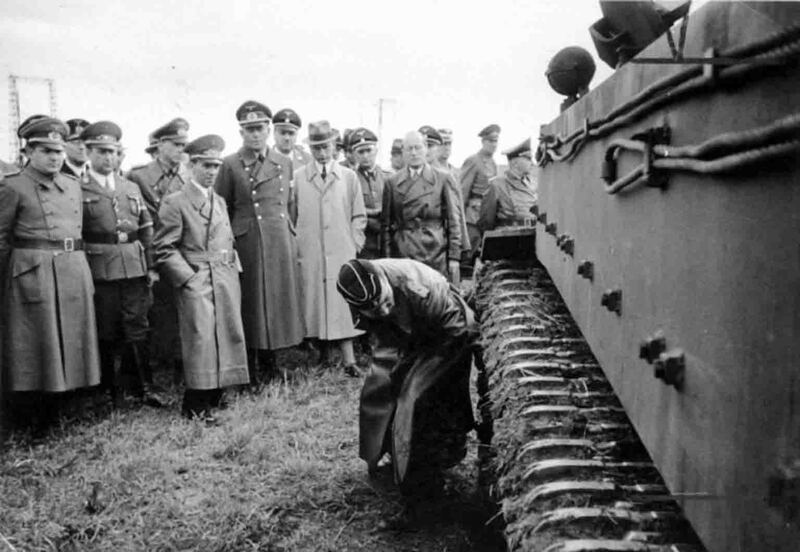 The top leadership of the Third Reich – Joseph Goebbels, Erwin Aders, Albert Speer, Karl-Otto Saur and others – inspects one of the first specimens of the heavy tank “Tiger” (PzKpfw VI Ausf. H) at the test site. June 1942.